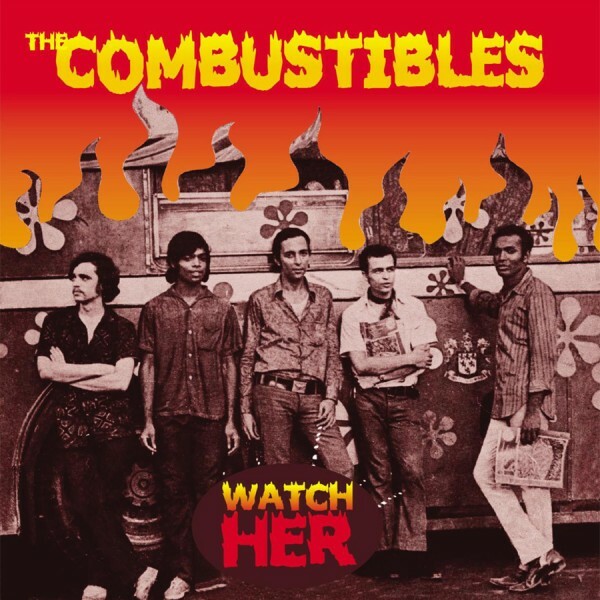 The five members of The Combustibles who recorded Watch Her and Some Peace of Mind were its regulars during the band’s final act from 1969-72. But each entered the band from vastly different directions. 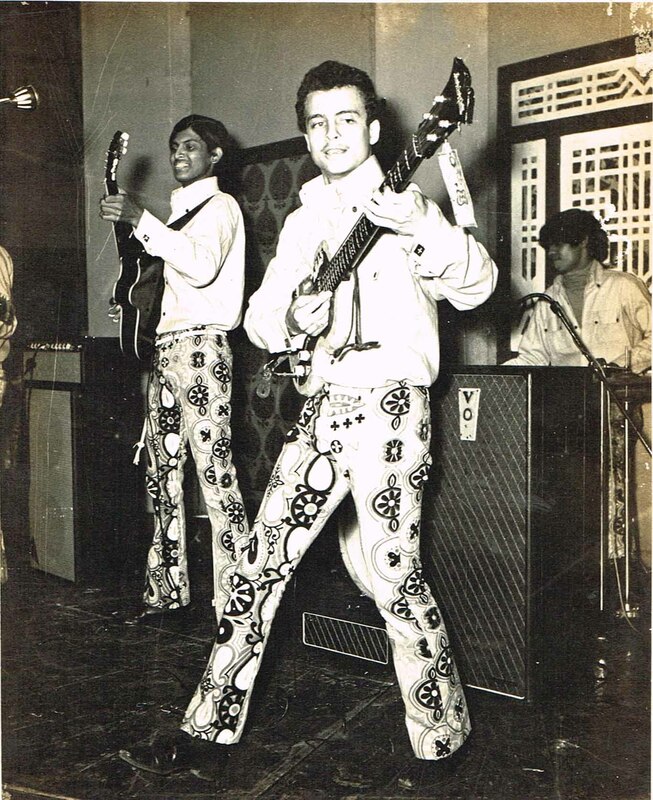 Brothers George (on bass) and Lionel Taylor (on lead), the founder members, were children of British parents who decided to stay on in India after the country’s independence in 1947. 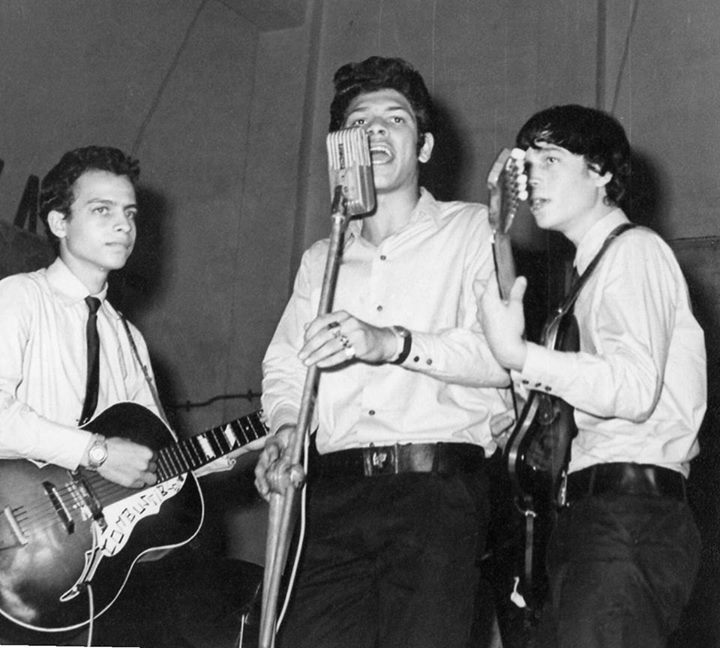 George and Lionel recall playing their first guitars and singing together at St. Joseph’s boarding school in Bangalore as young teenagers, inspired by the early harmonies of The Beatles. 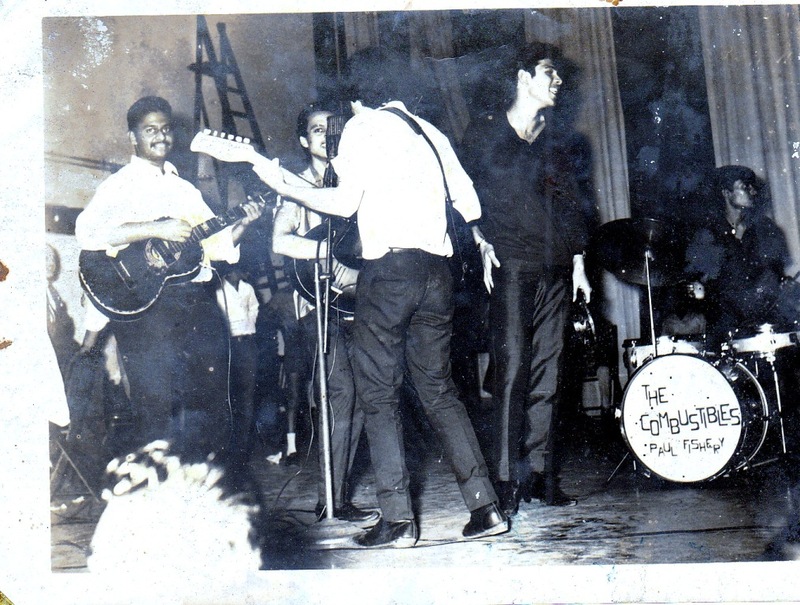 Returning to Bombay in 1965, they started playing publicly in informal settings till the first edition of The Combustibles formed in 1967. The Taylor parents and their sister Ellen, were the band’s initial mentors and remained their biggest supporters and fans. Everett Perry first discovered his lyrical skills at the young age of thirteen, while in high school at St. Michael’s in the Bandra suburb of Bombay when a number of his friends approached him to pen love poems for their girlfriends – a skill they apparently did not possess! One of his earliest successes, on the local radio called The Cadbury Show resulted in a prize of a dozen Cadbury bars. The poet in Everett ended up becoming The Combustibles song-writer and composer. The oldest in the band by about five years, he was the only one who had theoretical training in music and studied the piano till the intermediate stage. 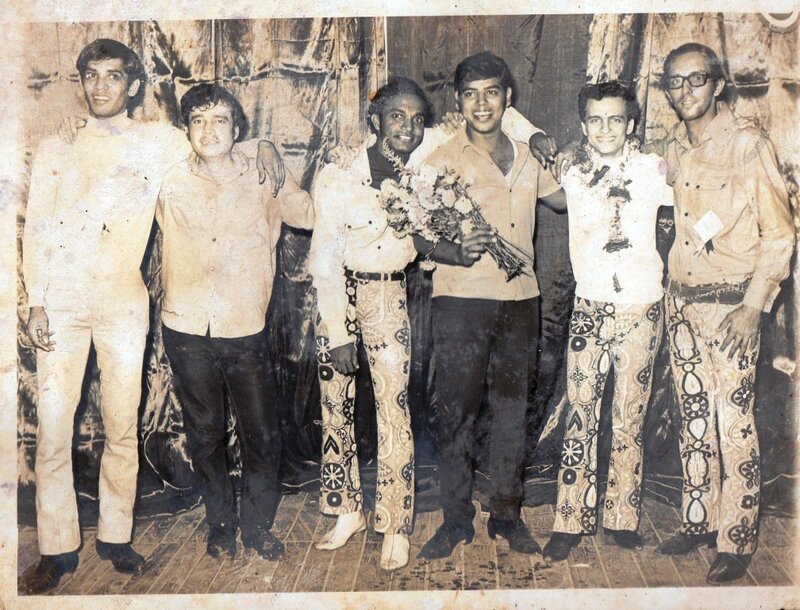 Everett took over the lead vocal slot and became one of the most recognized front-men in the Bombay rock scene – ably supported by George who managed most of the harmony vocals. 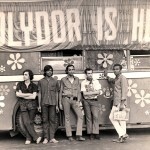 Bobby Furtado, the baby of the band and brother-in-law of manager Godfrey Uttanwalla, was an important link in The Combustibles chain. For a drummer, Bobby was quiet to a fault and self-effacing till he got on stage! Drumming since the age of sixteen, he had only played with a few local amateur bands till the opportunity to join the band occurred following the illness of regular drummer Croyden Maben late in 1969. 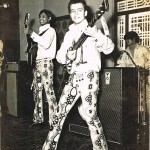 Bobby seized the opportunity with both hands (and a strong leg on the bass drum) and provided the basic beat to the music of The Combustibles till the band disbanded in the summer of 1972. 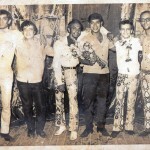 While George and Lionel were beginning to practice the harmonies of The Beatles in Bangalore, Everett was honing his song-writing skills and Bobby had still to start playing the drums, Nissim was 8500 miles away in Washington D.C., with his family where his father had just begun employment with the IMF. The family arrived just a month before the horror of President Kennedy’s assassination but three months later, with all of America, watched The Beatles launch a rock revolution as they opened their first appearance on The Ed Sullivan Show on 9th February 1964, four days after Nissim’s fourteenth birthday, with All My Loving. Like every teenage boy at the time it seemed, Nissim was hooked and soon had his first cheap acoustic guitar. But nothing went very far until fate intervened and a classmate in high school named Pat Loper invited Nissim to his home where every member of the family (including the Mom) would sit around after dinner playing the guitar and strumming classic country songs. Buck Owens and the Buckaroos was what they played most! 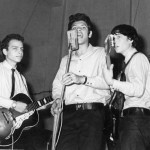 There was no rock played in the Loper household – though Act Naturally was soon to be an important bridge between Buck Owens and Ringo and The Beatles! 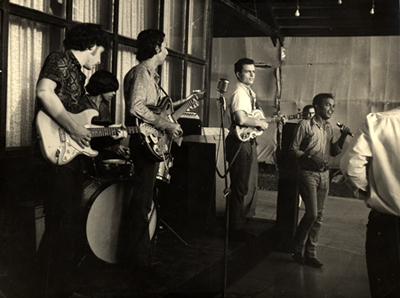 Five years later as the family got ready to return to India, a friendly salesman at Veneman Music in the Arlington suburb of Washington D.C. suggested to Nissim’s father that his son would do well to take along a Fender Stratocaster and this new fuzz-wah pedal of a type that a guitarist named Jimi Hendrix had already made very famous. Nissim’s passport to The Combustibles had just been delivered! 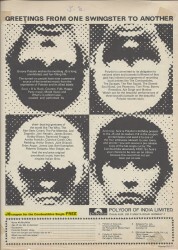 While home base was always Bombay, The Combustibles II configuration (George, Lionel, Everett, Croyden and Christopher) had a major tour in October-November 1968 which began with a month at Trincas in Calcutta and moved on to the Soaltee (Oberoi) Hotel in Kathmandu. 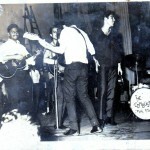 An extended contract at the 3 Coins on East Street in Poona followed later (probably early 1969, when Everett was ill and George and Lionel handled the vocals – and unbeknownst to the band, a future Combustible (Nissim) was often in the audience, listening to the group for the first time!). 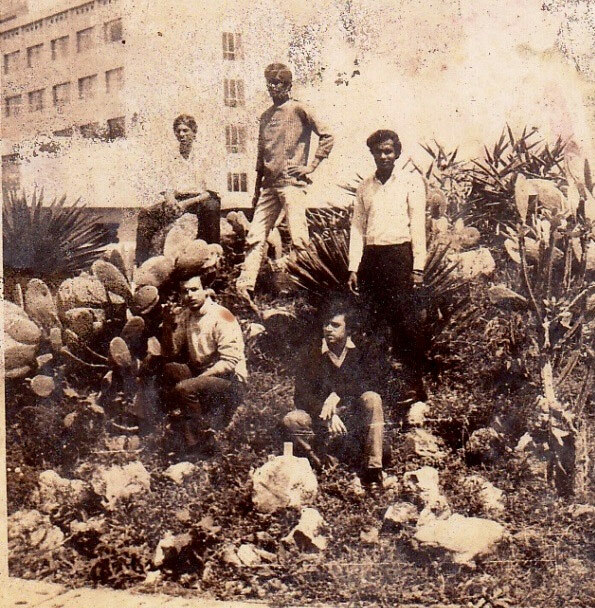 From Calcutta, the band moved on to a month at the Soaltee (Oberoi) Hotel in Kathmandu, where amongst other memories they again played alongside Louis (Louiz) Banks – the famous pianist and composer – who went on to international acclaim as a 2009 Grammy-nominated musician and became known as the Godfather of Indian Jazz – playing alongside international icons such as Dizzy Gillespie and John McLaughlin. 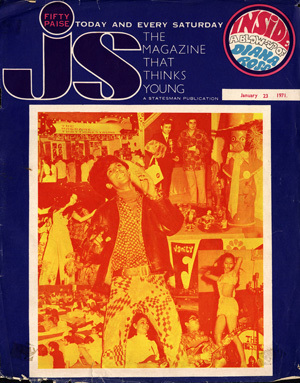 The experience of being recognized as a member of a major rock band in a metropolis like Bombay had its rewards, and being featured regularly in the monthly JS magazine for young audiences (published by the Statesman Group from Calcutta) meant that the band’s “fame” had spread nationwide. But notwithstanding the fame, fortune was hard to come by! Monthly contracts at that time were only about Rs. 3200-Rs.3500 at Blow-Up (playing six nights a week, two 30 minute stints at 11:00 pm and 12 midnight). The contract at Hell was slightly better (over Rs. 4000/month) and the band played there for many months during 1971-72. 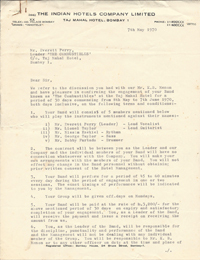 In exchange rates at the time, this amounted to a maximum of $400-$500 monthly, or about $60-$80 for thirty days of work for each band member and the manager! Winnings from rock competitions at Shanmukhanda Hall were probably in the range of Rs. 2500-Rs 3000. ITC paid the winning band at the Simla Beat Finals Rs. 2000 (in 1969, perhaps more later). Individual contracts varied a lot per concert or show though, as with all bands in the city, bookings for shows on New Year’s Eve and special events generated substantially higher rates. The money was decent enough at times to make it a fun ride for a while. But the recorded music yielded no revenue (in fact the single was given away free by the record company for a while!) and overall, it was far from enough to support a steady livelihood. As time passed and band-members grew up and regular jobs beckoned, it was inevitable that playing with the band had to be left behind for more mundane pursuits! Click here to read the JS Magazine interview with the band. While the band made no money from the record, over the years the single has become highly sought after by collectors and has sold for hundreds of dollars on various sites such as eBay and CollectorsFrenzy. There were also occasional links to historical events on the global classic rock scene, which permitted both the audience and The Combustibles to feel that they too were a part of the music history that was being made thousands of miles away in England and America. 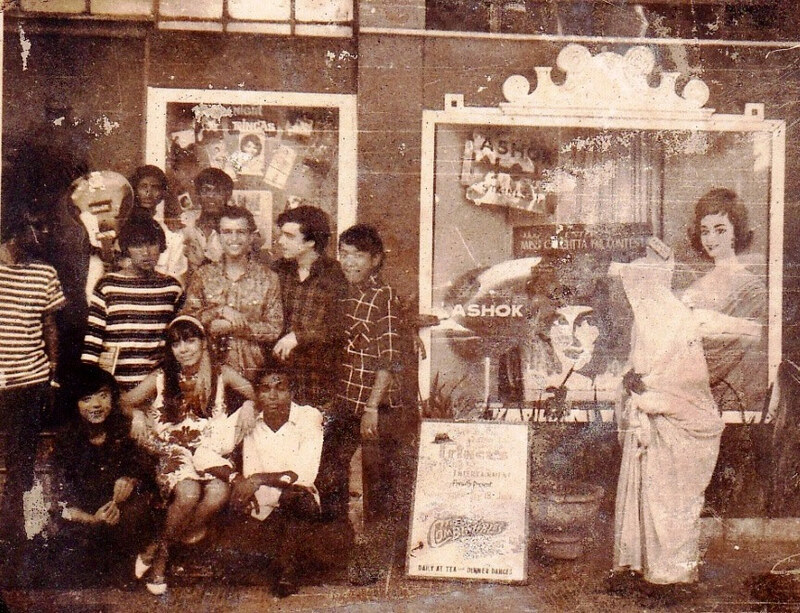 The band played one of their most memorable concerts (a six song set) at the Woodstock Show at the Eros Theater in Bombay on January 10, 1971 – a promotion to celebrate the premiere of the movie Woodstock in the city (click here to read the JS Magazine article). All those who purchased the three albums that comprised the movie soundtrack received two free tickets to attend the concert and watch the movie! The Combustibles also featured in The Magical Mystery Tour, sponsored by JS Magazine on May 25, 1970, involving a group of ten Englishmen who were driving from London to Australia on a bright red London double-decker bus! 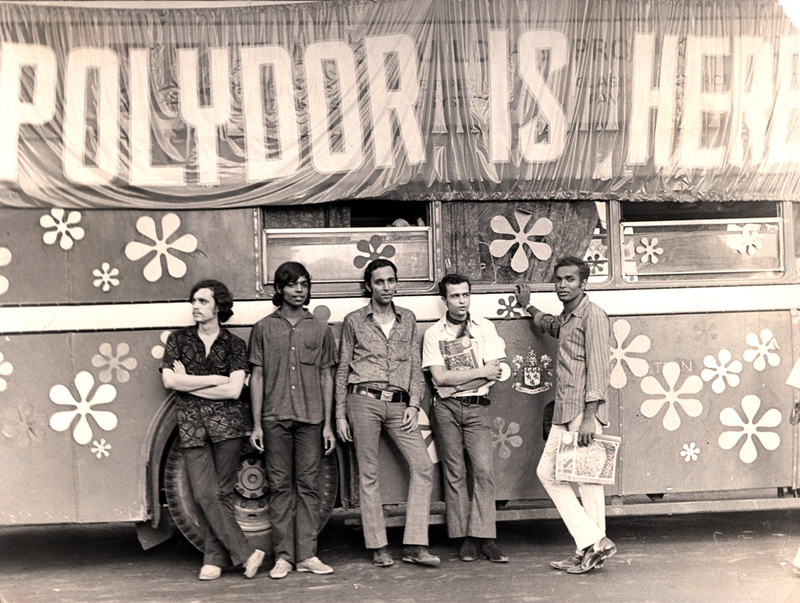 When the bus reached Bombay, a major event was organized with The Combustibles playing at The Bullock Cart near the old Bombay University campus, then boarding the bus for a ride through the city (including a stop at the beach front at Breach Candy right next to the location of the original U.S. Consulate in the city) and then ending about 15 miles away with a concert at a hotel on the famous Juhu Beach. 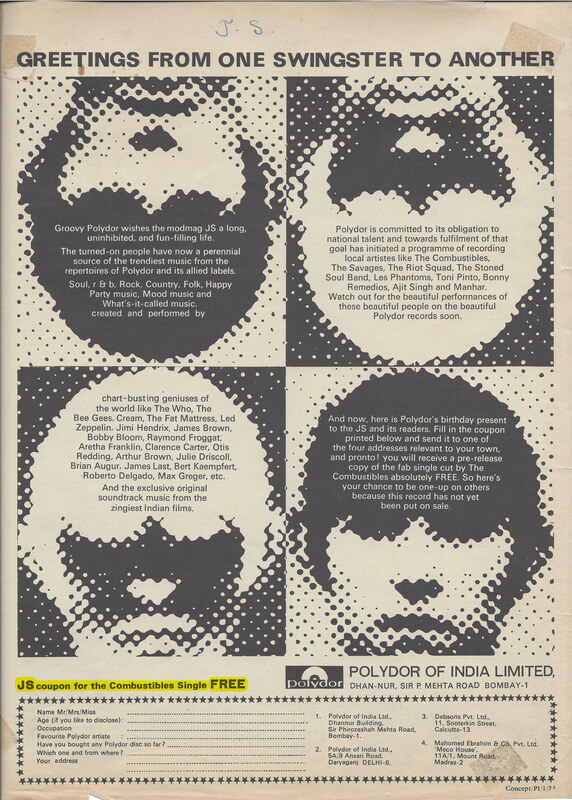 The event was co-sponsored by Coke (still in India, before being banned for fifteen years in 1977)! So, at each of the stops on the long drive through the city – and at times from the moving bus itself – free Cokes were handed out. For The Combustibles, waving to puzzled Bombay-wallahs from the upper deck of the bus, this was the first and last time they participated in anything resembling a ticker-tape parade!